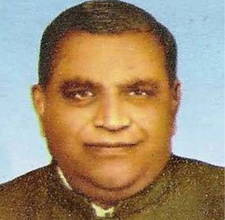 Late Manoharbhai Patel was a self made man. He had little opportunity to acquire education, but he had all the worldly wisdom to realize the importance of education. He decided to provide for others, the opportunity which denied to him and established a chain of educational institutions in Bhandara and Gondia districts. The Gondia Education Society established by him in 1958, runs several schools and colleges today. These institutions impart education in almost all the branches of learning. This was possible only due to the generous donations given by him. His keen and sincere desire to serve the society moved him to create avenues of education for all, so that everyone may improves his own lot in life.